RestorationMaster is a leading provider of efficient and effective restoration and cleaning services in the O’Fallon, MO area. Our technicians specialize in returning homes and commercial buildings to their original condition from natural disasters, but our cleaning services have been known to provide a number of benefits for home and business owners. Whether the damage was caused by a flood or fire, we are available 24/7 and will respond immediately to restore properties of all sizes to their original condition. We can also work with insurance companies during open claims to help expedite services. When it comes to deep cleaning, no company knows the meaning of clean like RestorationMaster. From cleaning carpets to air ducts, our services are designed to remove embedded debris and stains, guaranteed to alleviate allergies as well as improve the overall appearance of the room. Each of our technicians are also trained in each service as we are dedicated to providing not only peace of mind, but complete satisfaction from our work. Give us a call for any of the services listed below and we can provide a free estimate! Available 24/7 for all property damage emergencies in the O’Fallon, MO area, give us a call at (636) 492-3030 regarding any of the services listed below. Unfortunately, water damage is among one of the most common types of disasters. Whether natural or unnatural, it can occur anywhere at any time. From basement floods to burst water heaters to burst pipes, once the damage starts, it will spread throughout all materials, starting with porous surfaces. Within 24 hours, mold growth will also develop if the area isn’t dried out right away. But RestorationMaster is available 24/7 to water damage cleanup services in O’Fallon, MO. Using commercial drying equipment, we can have the entire affected area restored in as little as a few days. We will also remove any soiled porous materials and install replacements. Finally, we will sanitize the remaining surfaces to prohibit mold growth. 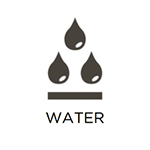 With our services, you can count on us to provide the peace of mind you deserve after a water disaster. 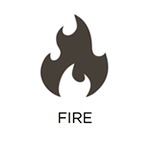 Just like water damage, property fires are more common than most may think. Potential sources include: overheated dryers, overloaded circuits, appliances left on, lightning strikes, and many more. But regardless of the source, immediate action must be taken to recover the remains of the property after the flames are extinguished. RestorationMaster provides emergency fire damage restoration services in the O’Fallon, MO area to return homes and commercial buildings of all sizes to their original condition. We are available 24/7 to remove all smoke and soot byproducts, conduct any necessary demolition, and install the needed building materials to restore a safe and sanitary living environment once again. We also work with insurance companies during open claims processes. While not always an emergency, mold can be one of the most troublesome problems for home and business owners. But it can also be dangerous as the spores released by these fungi trigger a number of allergies, including watery eyes, runny noses, headaches, congestion, etc. But it is important to allow a professional to handle the remediation process to prevent the problem from becoming worse. RestorationMaster is available in the O’Fallon area to provide professional mold remediation services. We use advanced cleaning products that are designed to penetrate deep within the mold’s surface and eliminate it at the source. 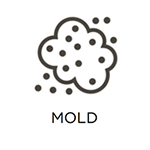 Our technicians will also prevent the mold from spreading to other areas by containing the affected area. Finally, we will work with your insurance provider through the claims process, if you chose to file a claim. Have you ever taken a good look at your carpets and noticed they’re a shade darker than when you first bought them? Or they are filled with stains from pets, wine, ink, or other source? Regular vacuuming can remove a lot of dirt and dander but it surely won’t get it all. That’s why RestorationMaster provides professional carpet cleaning services in the O’Fallon, MO area to restore a like-new look to commercial and residential carpets. Our technicians use a perfected technique, known as the hot water extraction method, to reach and clean deep down within the fibers and remove embedded dirt and stains. We can also provide a Scotchguard protection that will help to protect the fibers from deteriorating in the future. Give us a call today for a free estimate! While there is much controversy over whether or not air ducts must be cleaned, there are certainly many benefits from having a clean HVAC system. From preventing mold to alleviating a number of allergies, home and business owners will notice a significant difference after a professional air duct cleaning service. RestorationMaster is a proud provider that ensures to clean all parts of the HVAC system, not just the ducts themselves. From cleaning the air vents to the heating and cooling coils, you can expect a number of benefits from our detailed duct cleaning services. Give us a call if you live or work in the O’Fallon, MO area for a free estimate! While natural disasters aren’t too common, they do happen. When they do, they can wreak havoc on property structures. Whether your home or building was affected by a fire or flood, professional services will be needed immediately to repair the damage. 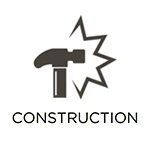 RestorationMaster is available in the O’Fallon, MO to provide complete reconstruction services to help homes and businesses recover from any form of damage. From rebuilding entire structures to boarding up windows and doors, our technicians will respond immediately to return the property to its original condition. We can also restore the home from fire or water damage, using advanced equipment and products. As we are available 24/7 for all property emergencies, don’t hesitate to give us a call as soon as you notice the damage. Some people see it as too lazy to clean up, but for an individual affected by hoarding, the problem is far more complicated. That’s why they will need the help of a family or friend to reach out and talk to them about their situation. They must be aware that their living condition can also compromise their health and safety if the property isn’t cleaned up right away. 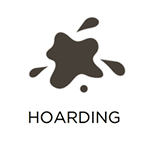 RestorationMaster is available in the O’Fallon, MO area to provide professional hoarding cleanup services for individuals suffering through hoarding. Our technicians have years of experience providing this service, which is why we ensure to work with compassion and respect in regards to the affected individual. In addition to removing unnecessary belongings, we will restore the property from any water damage, mold damage, or biohazards that have deemed the property unsafe. Ultimately, we will ensure that the property will provide a safe and healthy environment for the affected individual. 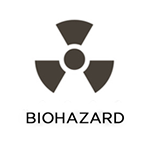 Nothing can be more gruesome than to discover biohazards on your property. Especially if it involves a loved one, the effects can often be mentally and emotionally scarring. If the situation is a crime scene, the first step of action would be to immediately call the authorities. For all other situations, don’t hesitate to call RestorationMaster for professional biohazard cleanup in the O’Fallon, MO area. Our professionals are available 24/7 to remove all biohazardous substances while decontaminating the affected area to safely restore safe and healthy conditions. We will also work around the schedules of the authorities as to not disturb any uninvestigated evidence. We can also provide referrals to recommended family counselors for grieving families. Sewage wastewater is never fun to find, especially after it has been sitting in the affected area for sometime. But it is crucial that you avoid all contact in order to protect your health and safety. Allow an emergency cleanup services to extract the water, dry out the area, and repair the damage properly. RestorationMaster is available in the O’Fallon, MO area to provide emergency sewage cleanup services. Our technicians use professional equipment and powerful cleaning products to safely restore the area to a safe and healthy environment again. We can also work with your insurance company if you chose to file a claim. Finally, you will be able to have the peace of mind knowing that the area is effectively restored after a professional restoration service. While odors can be derived from a number of different sources, they can’t all be removed with home remedies. When you feel like you have exhausted all options, using every home remedy and nothing seems to work, it’s time to call a professional service. RestorationMaster is available in the O’Fallon, MO area to provide effective odor removal and deodorization services for both homes and buildings to fully eliminate stubborn smells. Our technicians use an array of powerful deodorizers to penetrate deep within each odor particle and eliminate it from the inside. We can also remove the source of the damage, including water, fire, and mold damage, biohazards, etc. After an effective and efficient service, you can look forward to returning to a restored property without having to worry about any foul odor. For additional information or a free estimate regarding any of the services in the O’Fallon area listed above, give RestorationMaster a call at (636) 492-3030. We are available 24/7 for all property emergencies.